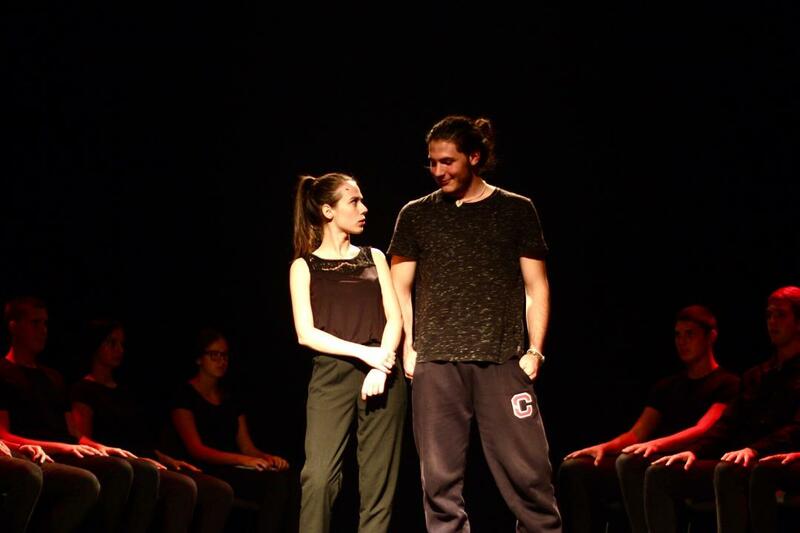 On the fourth day of the the 6th International festival of high school theatre Juventafest, the brilliant play “Test” was performed by the City Theatre Jazavac from Banja Luka on the stage of the Sarajevo Youth Theatre. A play talking about four friends with a very different characters and house manners, who go to school together, was directed by Nikolina Friganović. “Test” lasted for 50 minutes and was performed by 11 high school students. The plays “Test”, ” A Midsummer Night’s Dream”, ” Low Fat Life”, “Only a Dream”, “The Wave” and “Everything’s all right”, which will tonight close this year’s Juventafest, are in the race for Grand Prix and Special Jury Prize, and the jury who will make the decision is Emina Minka Muftić, Slađana Zrnić and Igor Pavlović. The award ceremony will take place at the Sarajevo Youth Theatre on Monday, September 17, after the performance of the play ” Everything’s all right”at 7pm. An hour earlier, there will be a parade for the festival participants, starting from Eiffel’s Bridge and ending at the square in front of the National Theatre. Also, on the last day of Juventafest, the presentations of the puppetry, theatre mask, dance and perspective workshops will be organized at the Center for culture and youth in Municipality of Centar Sarajevo, OU Jelićeva, at 1pm. This year’s workshops for students and teachers were realized from Friday to Sunday, with the support of puppeteer Jasminka Božuta, director Ada Sokolović, drama pedagogue Jadranka Korda Krušlin, actor Matija Kezele and dancer and dance pedagogue Željko Božić. As in previous days, the entrance to the last play of this year’s festival is free.